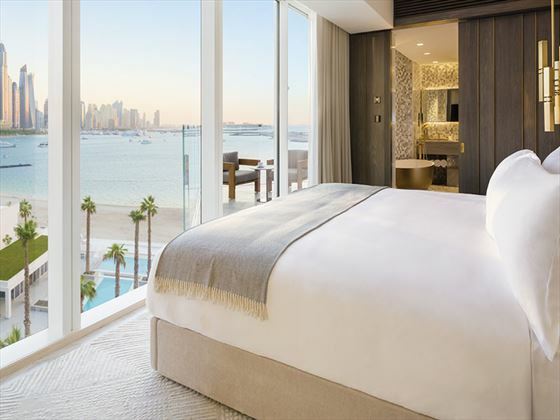 Newly opened and nestled along a pristine, private beachfront on the Palm Jumeirah, FIVE Palm Jumeirah is a swanky and modern hotel that offers an elegant style and a serene yet sociable ambience. 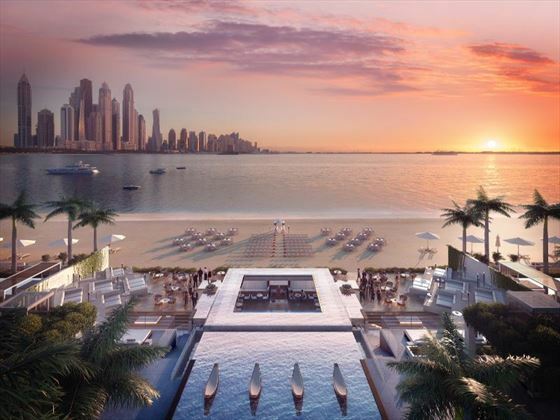 With its own private beach and a beautiful outdoor pool, you won’t run out of choices when it comes to finding a sunny spot to relax and sip cocktails. If you fancy even more unwinding, wander along to The Spa for a revitalising massage or facial in one of the open-air treatment rooms, or add a bit of excitement to your day with a few water sports. 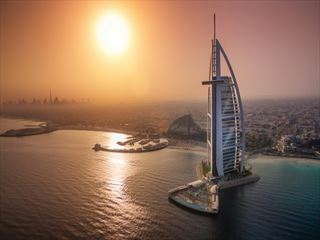 After working up an appetite, be sure to try out the hotel’s innovative restaurants. From authentic Italian cuisine, to traditional Chinese cuisine with a contemporary twist, the eateries here will certainly tantalise your taste buds. After a divine dinner, wander up to the beautiful Elevate bar on the 13th floor for a sumptuous cocktail, before finishing your night watching the twinkling lights of the city skyline from the comfort of your room. 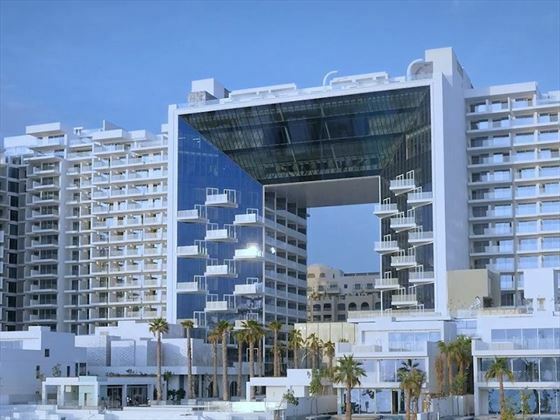 The glitzy hotel is located along a private beachfront on the Palm Jumeirah archipelago. Superior Room – Modern 35-38sqm rooms, featuring its own private balcony and a king size bed. Superior Twin Room – Chic 35-38sqm rooms with two queen size beds. Luxe Sea View – Very elegant 35-38sqm rooms with spectacular views of the ocean. 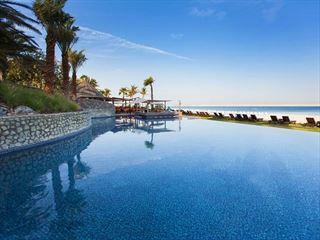 Luxe Sea View – With the same fantastic ocean views as before, with two queen size beds. 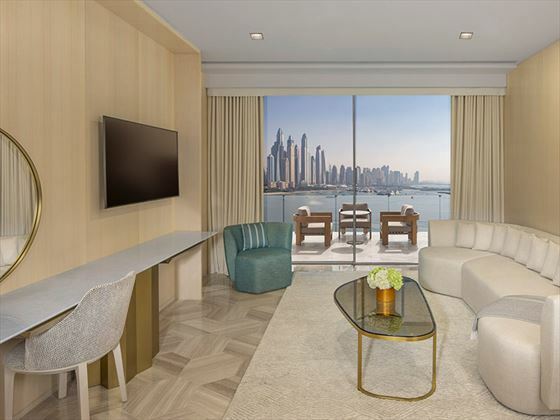 Junior Suite – Peaceful 55sqm suites, featuring floor-to-ceiling windows, a separate living room, beautiful views of Dubai’s landmarks and a complimentary bubbly breakfast in Quattro Passi. 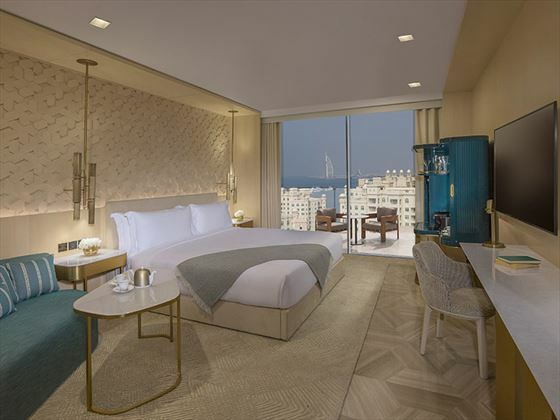 Junior Suite Sea View – With the same amenities as the Junior Suite, this time with unsurpassable views of the ocean. 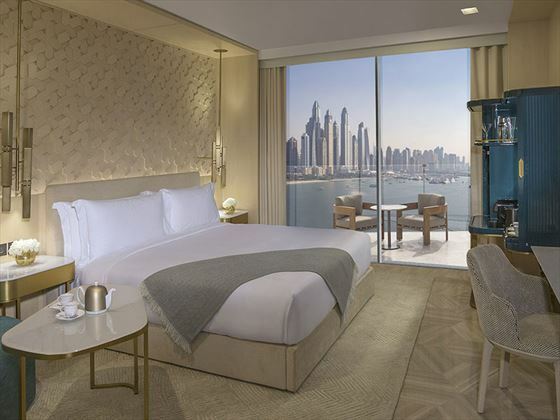 Viceroy One Bedroom Suite – Very stylish 75sqm suites, overlooking the Arabian Gulf. 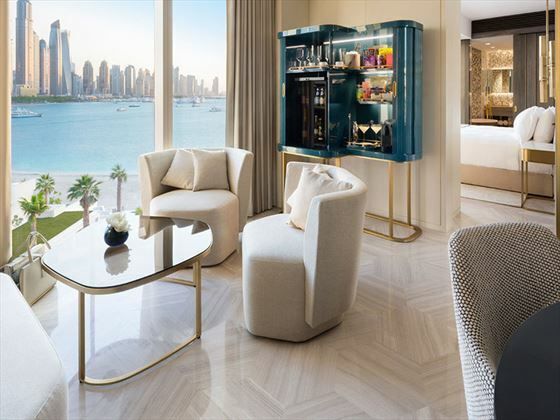 These suites feature a separate living area, a walk-in wardrobe, floor-to-ceiling windows, and a complimentary bubbly breakfast in Quattro Passi. 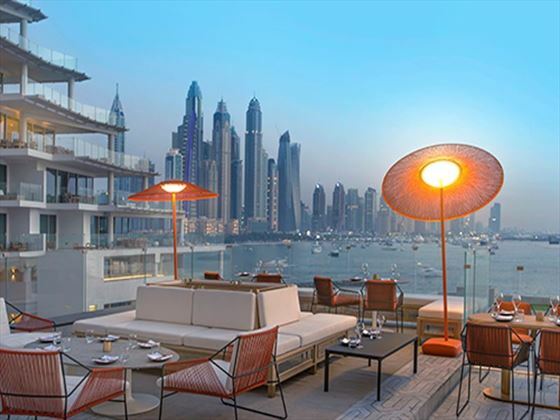 Viceroy Two Bedroom Suite – Overlooking the Arabian Gulf, Dubai Marina and the Dubai Eye, these classy 125sqm suites feature a living room, two bedrooms, a full kitchen, and a complimentary bubbly breakfast in Quattro Passi. Located on the top four floors. 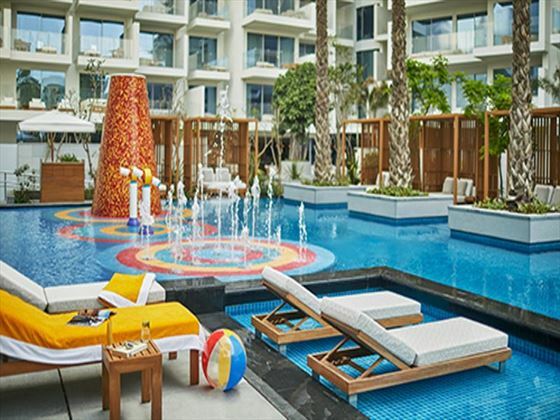 Viceroy Four Bedroom Suite – Intimate 250sqm suites located on the ground floor in the heart of the resort, featuring direct, private access to the resort, a kitchen, a large outdoor terrace with a pool, Jacuzzi and sun loungers, plus a large living room for eight. Guests also receive a complimentary bubbly breakfast in Quattro Passi. 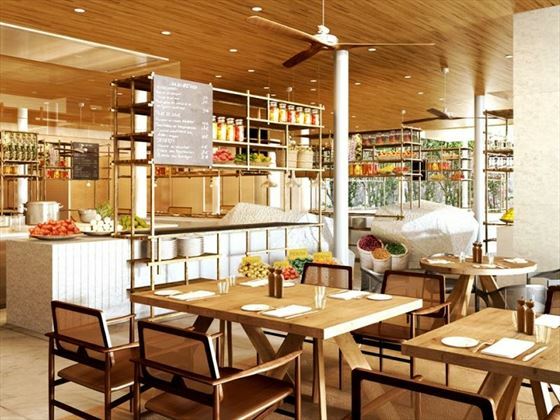 Blvd On One – Blvd On One – A lively, global brasserie, BLVD on One is a dining destination offering exceptional food prepared by people who believe memories from our childhood are linked to the tastes and aromas we love. Quattro Passi – A homely restaurant serving authentic Italian favourites with the chef’s own unique touches. Maiden Shanghai – A delicious Asian restaurant serving authentic Chinese dishes for lunch and dinner, plus a dim sum bar. The Delisserie – A quaint café offering delicious ground coffees and teas, plus freshly baked breads and pastries. Open 6.30am - 8pm. 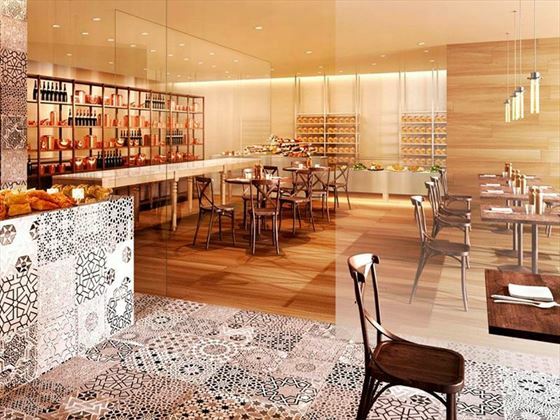 The Spa Café – A calm café near the spa, evoking a peaceful sense of wellbeing. Elevate – Hidden away on the 13th floor, this classy wine bar has a sociable and youthful vibe. The Lobby Lounge – Sitting adjacent to the Viceroy glass cube, this fun lounge offers high-quality, fresh food and premium drinks. Open 24 hours. 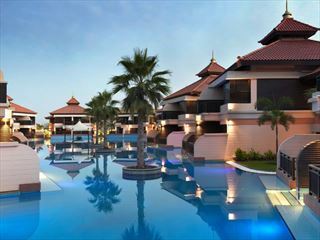 The Pool Bar – With two seating areas on either side of the infinity pool, this relaxed bar serves up a variety of cocktails with a laidback ambience. The hotel has a gorgeous boutique spa, which evokes a wonderful sense of serenity and rejuvenation. 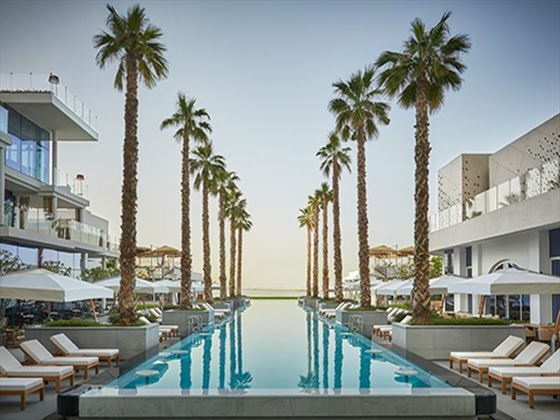 There are fourteen treatment rooms, four of which are open-air, as well as a relaxation lounge, spa pool and café, and a Hammam. Massages, facials, body scrubs…this is the perfect opportunity to indulge in a bit of pampering.